Now, on to Part III of my review (the most moccs I've ever done at once!) and a Hoodwink Link Oxford Mocc giveaway (pictured on Lemon, below) - scroll down for info on how to enter (or get an additional entry)! From her website: "Owner/Designer of Little Looker Shop, Kali Turner, was born and raised in Tampa, FL. Throughout her life she would find herself knee deep in some kind of craft, enjoying every aspect of art. Joining the Army in 2010, she was quickly sent to Baumholder, Germany where she met best friend and husband, Joshua. 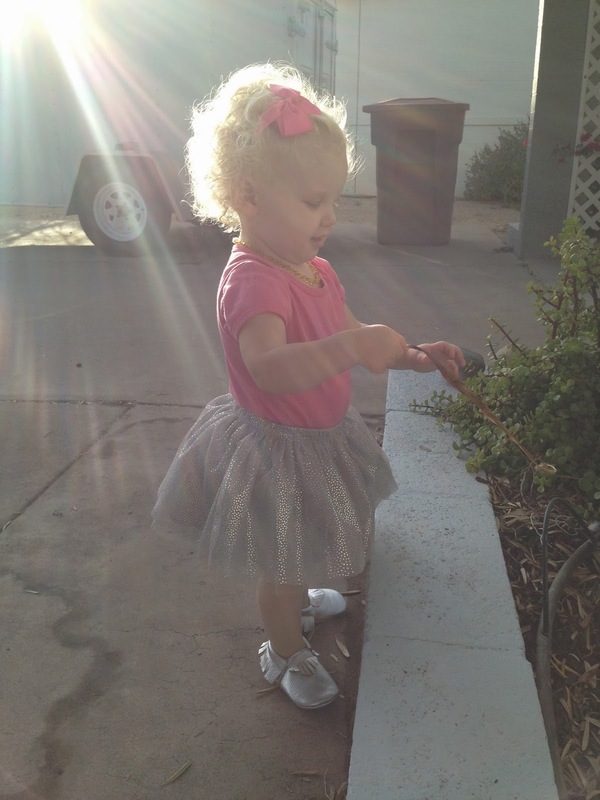 In 2012, they learned that she was pregnant with their first, Laila Elizabeth. Leaving the Army was the easiest decision made to keep the family together, to give birth to their child and follow her husband's military career. Finding herself stir crazy she wanted to be able to give something handmade to the world. 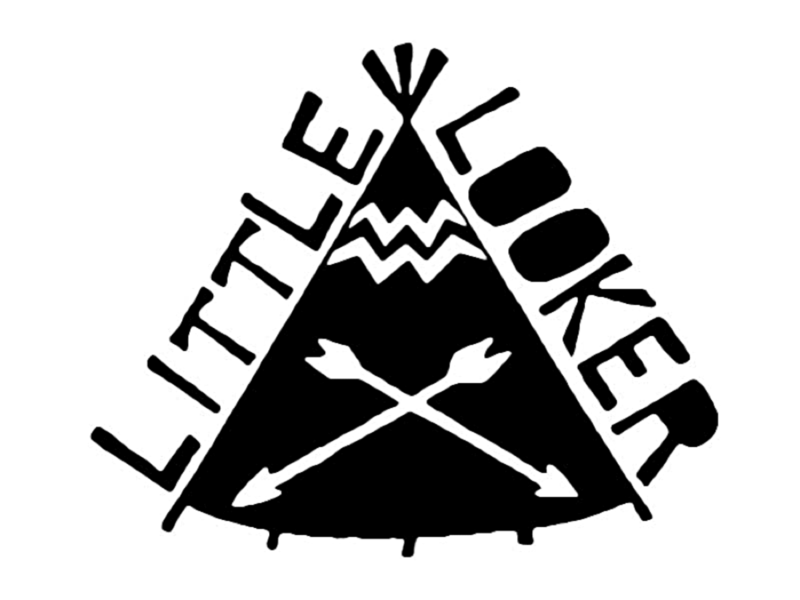 'Creating Little Looker Shop is a dream come true, being able to bring quality and affordable products to everyday families is what this shop is about.' So they now find their family living in California until the military up and moves them again." I received a pair of the Lola moccasins (pictured below), in black, in a size 5 (5 inch, $40). 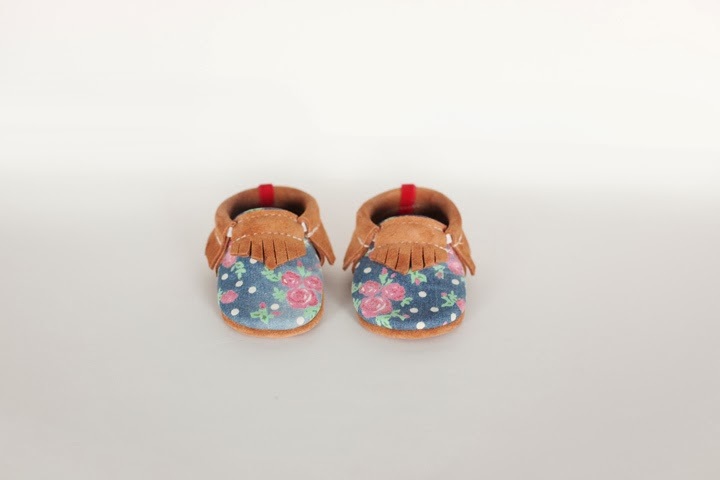 She offers sizes 3.5 inch to 7 inches in her shop and most of her moccasins are available in many colors. The black ones I received did not have the studs on the sides of the fringe or in the back like the ones pictured below. These moccs are a bit stiff so I found them kind of hard to get on. They definitely take a little work but when they are on they definitely stay put. The suede was a thicker suede, on the black pair that I received, so maybe that contributes to them being tough to get on. I'd say they fit true to size and are for a regular foot, not really roomy for a wider foot but not too narrow either. These moccs are worn all the time at our house, because of their neutral color, and they seem to hold up well. They do, however, turn Lemon's foot black after wearing them. There isn't a double layer on the bottom and the painting on the bottom, although it looks cool, is kind of unnecessary (unless you have a tiny babe that doesn't walk yet). 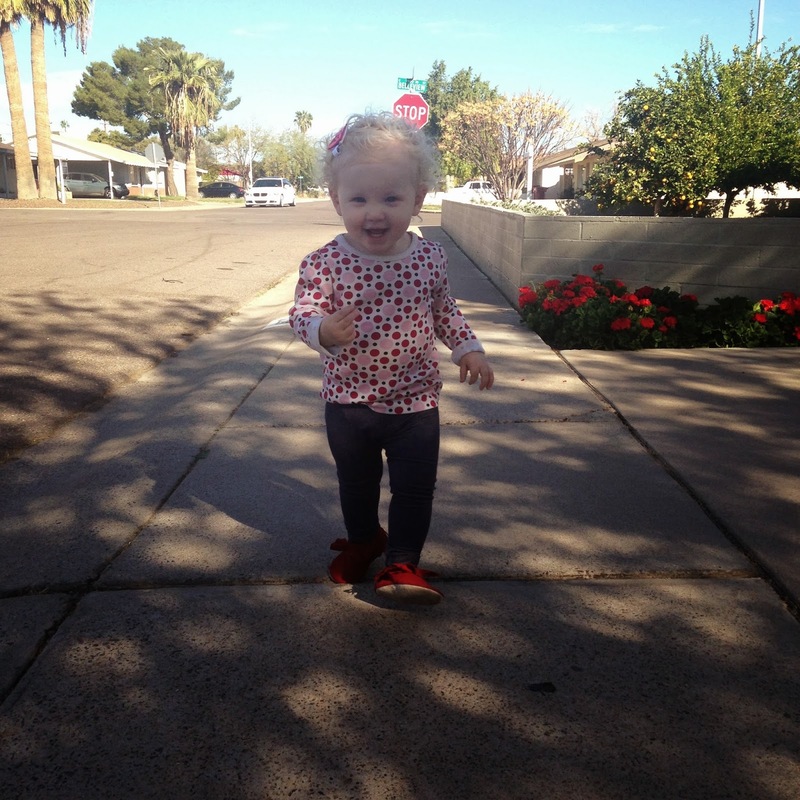 In addition to making moccs, Kali blogs a bit about her life, babe and products here. I loved all of the options for plain or designer moccs and being able to select any size/color I wanted, in any style. She definitely has the most options I've seen and they never seem to sell out or go away, which I also like. I think that $35 (classic moccs) and $40 (designer) is fair for a pair of her moccs, since you can get any style/color you want and there are so many always available and to choose from. My order was sent out quickly and Kali was super professional, even when I decided, at the last minute, to switch colors. She also makes moccs with matching headbands and leather bows, leather accessories for moms and babies and leather tassel key chains. 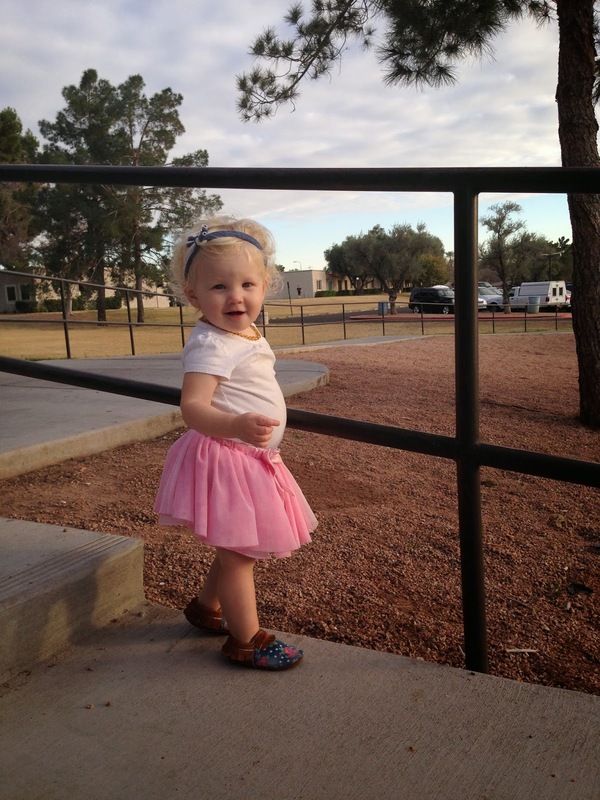 I am loving the Annabelle moccs and mama headbands - all so cute! "Originally from Germany; Melanie Disbrow, a proud mother of two, now calls West Michigan home. 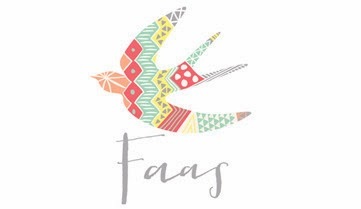 The founder of FAAS Design began her career as a professional photographer. She was constantly creating fashion elements for her own photo shoots and was soon inundated with requests to produce these pure, modern, and whimsical designs. Now recognized for her success as a designer of children's footwear; Melanie was originally inspired in this direction during her experience supporting her son as he dealt with podiatry challenges. She made her first soft sole footwear designs in 2009, but her focus on raising her kids was priority. Now that her kids are older she felt comfortable of going full force. The fun loving "foodie" will soon be moving with her family to the Dallas TX area where she will continue her passionate pursuit of creating fashionable designs for the modern child." I received a size 5 (5.65 inches) in the Martha moccs (floral, $60), North moccs (polka dots, $60) and Butterscotch moccs (brown leather, $60) and a size 4 (5.25 inches) in white leather (not pictured, $60). She offers sizes 3.25 inches to 8 inches on her website. These moccs fit really well and I would say they are true to size. They are easy to get on, stay on and are for a wider foot with plenty of room. I think these moccs are really well made. You can tell that Melanie takes pride in setting her moccs apart with different fabrics, designs, material (she has felt moccs, something I've never come across before), her signature red tab and her Faas stamp on the bottom of each shoe. These moccs are all thicker leather, but not stiff, and you can tell they will last a long time. I also think that the bottom of these moccs is really stiff and sturdy, probably the sturdiest I've seen in a walker mocc. This part of my review has been removed at the request of the shop owner. "Hi babes. My name is Nailea Farias and I'm a 23 year old mama to a beautiful baby girl named Romina Clarisse and a wife to my high school love, Daniel. I was born in the USA but was raised in Mexico and speak Spanish. We moved back to California 9 years ago and I love to read, shop and spend time with my family. I love the beach but can never get a good tan! 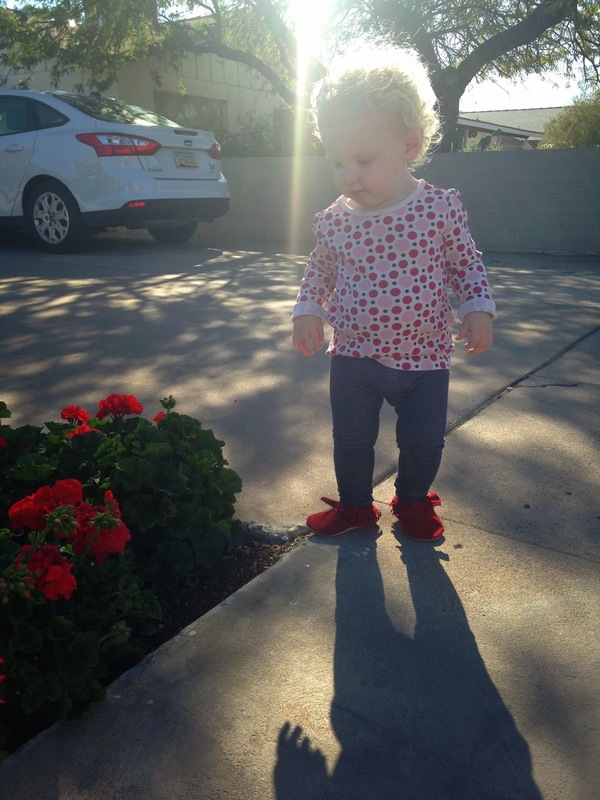 My baby girl is everything to me, as you can imagine, and I started making moccs because I wanted to keep my baby stylish but the ones I saw out there were too expensive. So, I decided to start making them, and why not sell them too? They are the cutest shoes ever!" I received a pair of the Chestnut Red moccs with a removable bow in a 5.5 inch ($25) and a pair of the Victoria moccs in a 5.5 inch as well ($32). She offers sizes 4 inches up to 7 inches in her shop. The purple, sparkly moccs run a bit small but the red moccs are true to size. The elastic around both pairs of moccs is a bit loose, and these are the first moccs I've run across that actually slide off of Lemon's feet. I don't think the issue is size, they don't seem too big, either pair, but instead is an issue of the elastic not being tied tight enough around the ankle to stay on. I am going to try to untie it and retie it to see if that helps. The purple moccs are also the first moccs I've seen that use black elastic, such a good idea on darker color moccs - I wonder why more shops don't use colored elastic to blend with their leather? Both of these moccs seem really durable. The red leather is sturdy, but not stiff, and I love the color, a deep red. The sparkly moccs are made of a durable, purple leather as well, and the fabric with the sparkles seems like it will hold up well. 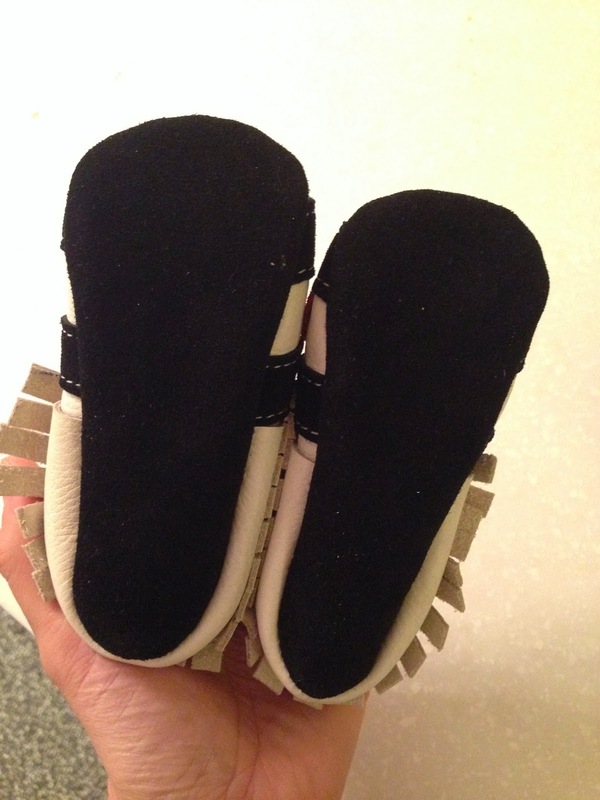 The ankle parts, on both moccs, are really sturdy too and the stitching seems like it will last a long time. The purple pair have the leather turned inside out for the sole, so the smooth part is on the inside, with the foot, and the suede part is on the outside. This is also the first pair of moccs I've seen like this and I wonder how slick/hot that may get in the summer. I wish they would have had a double suede sole so that the foot sat on suede too. The red, however, was not like this and had just one layer of suede on the bottom. I have never seen a removable bow option on a pair of moccs before and I love it! I also haven't seen a fur option (she has one in her shop!) or moccs made with lace (also in her shop). I love that Nailea has set her moccs apart with these styles and I think they will take her a long way in this business. I also have never received so many compliments on a pair of moccs than on these sparkly, Victoria moccs, they are just too cute! Her prices are affordable, her moccs are cute and she definitely has some unique options. I received my moccs fast and Nailea was great to work with! "Hey! My name is Angela Andrews. I live in Garner, NC and I have been married to my best friend for almost 7 years, and we have two beautiful girls - Ainsley is 6 and Harper is 1. I have always enjoyed sewing and took several classes in school. When I found out I was pregnant with Ainsley, I decided to dust off the ole' sewing machine and I started making little things here and there. A few years passed and we found out we were expecting Harper. Being a stay at home mom, to now two kids, made money tight so I decided to make Harper a few things. After several compliments and "Where did you get that?" I decided to open an Etsy shop. 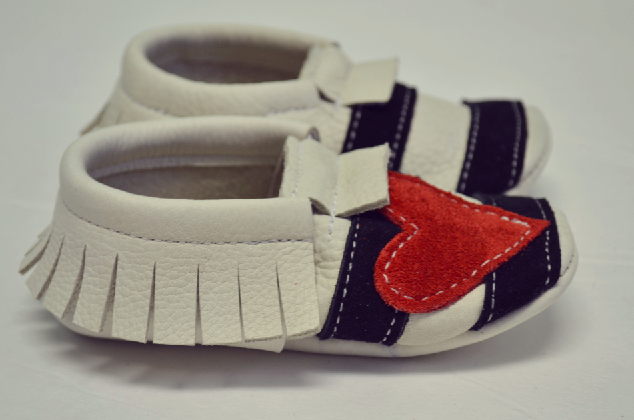 I started making moccasins shortly after opening the shop and seeing the beautiful creations from Freshly Picked and Crew and Lu. (As I said before, two kids are expensive and I just couldn't justify spending that amount of money on shoes that will only fit for a few months, at best.) So, I decided to create my pattern and make them myself. I try my hardest to find the best deals around on leather so that I can provide these adorable shoes at a reasonable price. I just recently made the move from Etsy to Storenvy and have some more exciting things to come. I am so very grateful to be able to do something that I love so much while also helping to support my little family!" 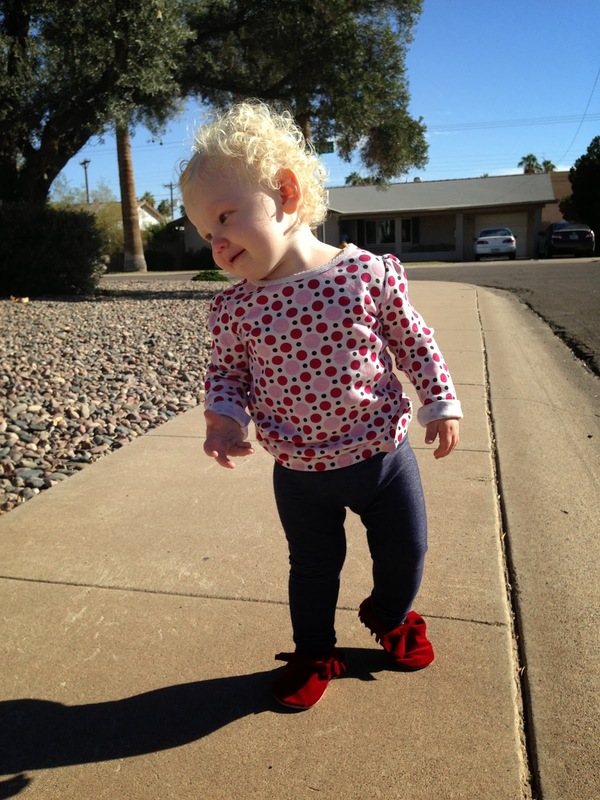 I received a pair of red suede moccasins, with a bow option, in a size 5.5 inch ($29.99). She offers sizes 1-10/11 but doesn't have inches listed anywhere for what those sizes translate into. I would say that these moccasins are for a wider foot and run big. They slip off of Lemon's foot and she will definitely have to grow into them. I also have had trouble with moccasins with bows, in the past, and have the same trouble with these. When they are on, the bows tilt upwards and don't sit right on the foot. It makes me sad because then they don't really look like bows and kind of just flop upwards. It could be that the material was just oh so thin as well. This suede is thin, something Angela told me before she sent them, and came with a lighter colored walker sole on the bottom. I am not sure that this pair of suede moccasins would actually be good for a bigger kid, like Lemon, because I just feel like they are way too dainty. This pair of moccs is one that I will save for special occasions, inside, instead of outside running around, just because they are so thin and fragile feeling. This thinner suede pair would be best for a smaller baby not walking yet, for sure. Angela blogs about her life, here. She also makes slipper moccs, beanies, leggings and scarves (for mamas). She doesn't have a lot of items in her shop yet, but everything there is offered at a reasonable price so I'm sure she will do well. 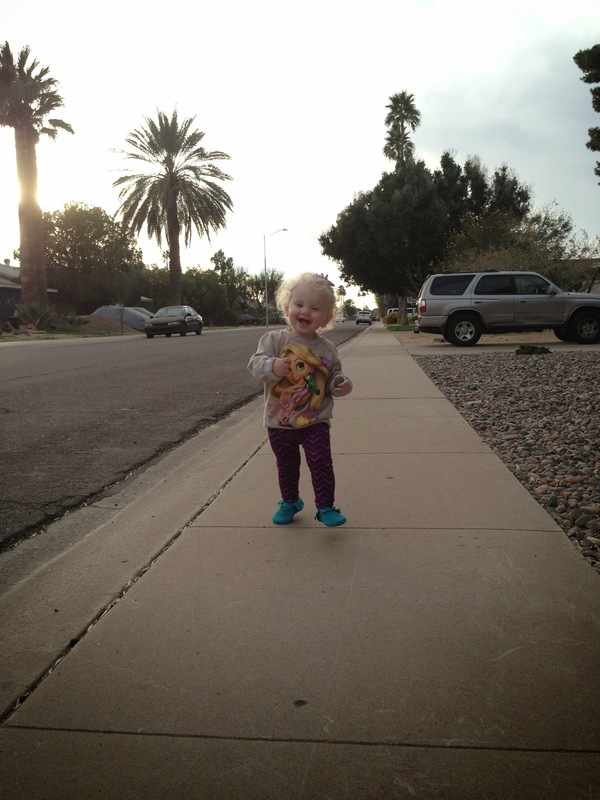 I would love to get a pair of her leather moccasins next to see if those are more durable and better for a walker like Lemon. Angela was super easy to deal with and I can't wait to see where this adventure takes her, I wish her all the best! "Hi! I am Ashley from Threads and Arrows. I am an Interior Designer by degree turned stay-at-home momma to a 13-month-old baby doll named Everly, and I must admit it is the BEST. JOB. EVER! My husband is five months away from graduating medical school, and while someday it will hopefully pay off, right now it is not paying anything (in fact we are paying a lot!). This little business has been a huge blessing to our family as we look toward the future with hopes of purchasing our first home in just a few short months when my husband starts his residency. I know there has been a huge push lately to shop small and local businesses, and I could not agree more. When you support small business, you are supporting families that are truly thankful for every sale. 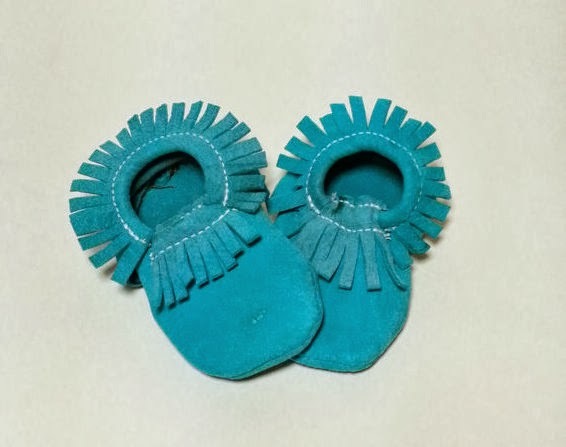 I discovered baby moccasins as an expectant mother but knew that I would never be able to justify a pair to my husband. Eight months after the birth of our daughter, I opened Threads and Arrows with a few leather hides my husband picked up after work one day. Since opening, my goal was, and still is, to sell a quality product at a reasonable price that parents like us can afford. Lately, I have been adding a few fun styles to my shop, but I have to say my favorite moccasins are the “wardrobe staples." 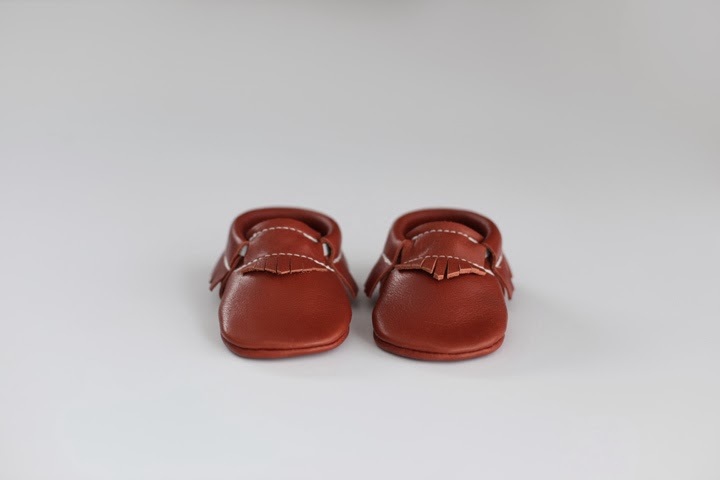 These pairs are not fancy but are something that you will put your child in daily, knowing they will be able to hold up to all of their adventures. All of my moccasins have 3-4 oz. suede soles that are thick and durable, while still being easy for even the newest of walkers to manage. Producing a quality product that I am proud to send out is my top priority. Pairing thick leather with industrial-strength thread, and crafting them on a professional walking-foot machine makes for a pair of shoes that your child will grow out of before they wear them out." 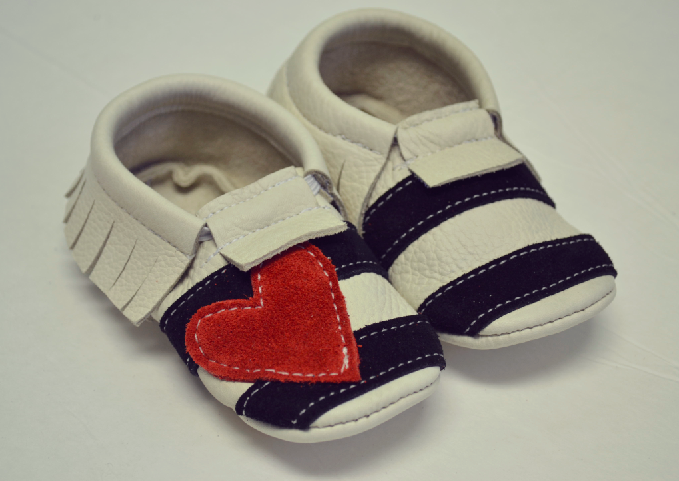 I received a pair of their black and white (with a red heart) Sweetheart moccs in a size 5.5 inch ($25) and a pair of toast suede moccasins in the same size ($25). She offers sizes 4 inch to 7 inch in her shop. These moccs fit great even though I opted for a 5.5 inch instead of a 5 inch (Lemon is kind of in-between at the moment). They are made of a thicker leather so they didn't wrinkle and didn't look too big on. The bottoms are made very narrow, so I was worried about them fitting a wider, chubby foot, but they fit fine because the leather around the bottoms isn't as narrow as the sole. I'd say these are for an average foot, not a wide or narrow one, even though the bottoms may fool you. I actually thought I wouldn't like these since the soles were the narrowest I've seen, but I liked the fit of them and think the narrow bottoms make for a more stylish, snug looking fit. 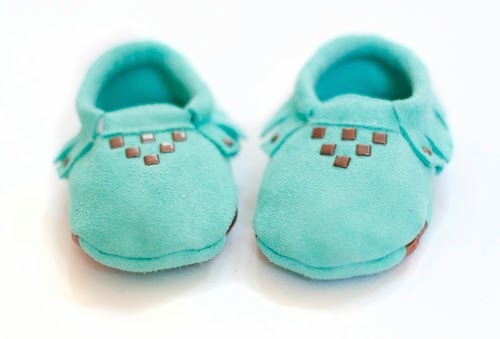 The toast moccasins are super cute too, there's just something about the way these are made that I really like. These moccs are really well made and the leather is thick and sturdy. Lemon ran around for hours in them and they never fell off or seemed to bother her at all, even though I got them a bit big. They don't look big, didn't sleep off and are some of the cutest moccs we own. I think they are really well made, the leather is stiff but not too stiff and the stitching is great. I took a picture of the bottom of these moccs and was like, "yeah right, these aren't going to fit Lemon's chubby feet." But like I said, once on, they are one of my favorite pairs. I love the narrow sole because it isn't too narrow for a chubby foot, I think it fits just fine. I also was a bit concerned because my moccs didn't seem to match up, one looked more narrow than the other, but once on you couldn't tell. I did read that Ashley wrote a mom on IG that she could make the soles wider for a wider foot, you just have to request it, but I really don't think it's necessary. She also offers the black sole for walkers and a plain leather sole for the smaller sizes (I think). "My name is Leila and I hail from Central California. I 'm 32 yrs old, am a full time mental health nurse, and am married to Mike. Together we have four children (18, 16, 10, 2). The two oldest are my step-kids. I learned about leather crib moccasins about a year ago through a fellow IG friend. While I thought they were beautiful, I just couldn't pay the price, even at 25% off! The issue wasn't that I couldn't afford them, I could, but for a baby who would wear out of them in a matter of months, nope. Then I found another mocc maker who was selling them at a reasonable price. The only problem was that she had a 6 week wait. I went ahead and purchased a pair, but soon became impatient waiting. So, with a garage sale leather jacket I decided to try my hand at it. I probably made 15 pairs before I decided to let my daughter wear them. In October of last year, I opened shop as a bow maker, Willow and Fig. 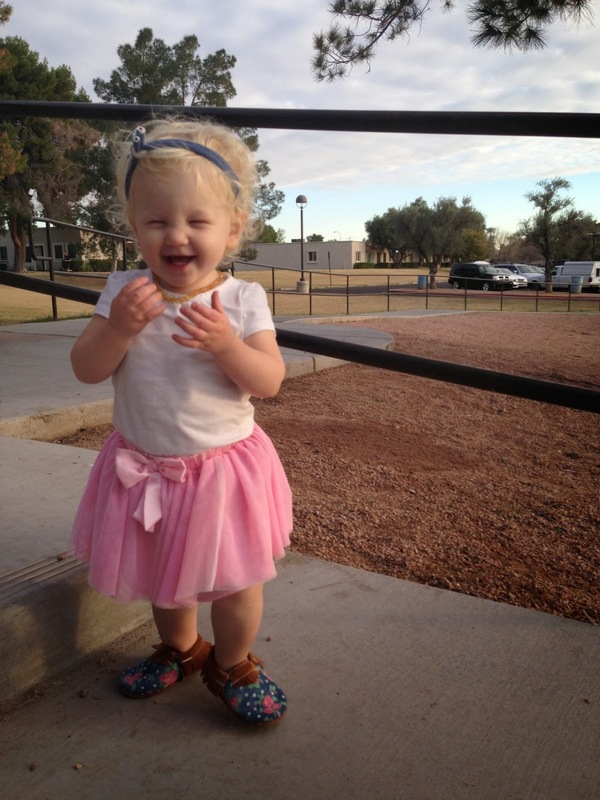 I happened to post a picture of my daughter wearing my moccs and had so many people want me to make moccasins for them. I couldn't believe it! So I started, at the end of October, selling moccasins. These last few months have been somewhat of a whirlwind. Some days are so stressful and busy, but most days I'm having fun and love that I have this creative outlet. My blood, sweat, and tears are poured into every pair that I make. I hope that is evident in the moccasins I sell!" I received a pair of Neon Lights Moccasin in Electric Teal suede and a pair of tan suede moccs in a size 5 inch ($25). She offers size 4 inches to 7 inches in her shop. 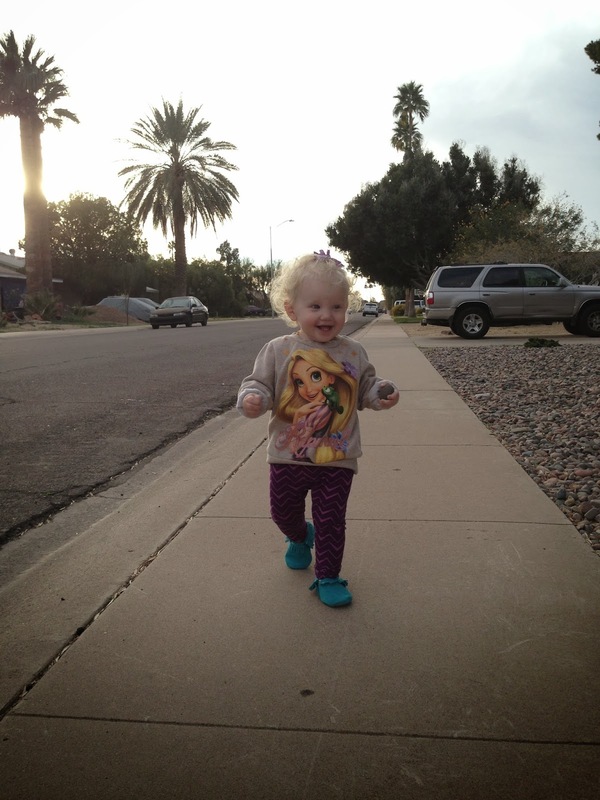 These moccasins fit true to size and are really easy to get on Lemon's foot. I think they would be perfect for a wider or chubby foot, they have plenty of room in the toe. It was a little difficult to see which moccasin went on which foot but I figured it out after looking at the bottoms a bit (but I'm usually really good at this!). The moccasins didn't match up too well, one was definitely wider than the other (see pics below) but you couldn't tell once they were on. The suede on these moccasins is really thin but she does put double suede on the bottoms. These shoes are more like slippers though, because the leather is so soft, I wouldn't really think that this particular pair would be good for walking a lot in, just because they are so thin. I really liked the fringe on these moccs, it's kind of a bit longer than on other moccs I've seen, but they were super cute on. I wish they had a tougher sole for sure but these would be great for babies who don't walk yet. Another pair to save for only, inside, special occasions! There were some things I noticed before I put these moccs on Lemon. Some of the stitching on one of the moccs was strange in the toe area (see the last picture of them on Lemon, above), the narrower of the two. Also, on one of of the heel pieces the suede was turned inside out, so the pilly part was used (on only one mocc) and there was a noticeable blemish (something I'm told is common with suede, but was also told that most mocc makers cut around). The bottom of the mocc also had a blemish that looked like it was the suede that had been worn, but it was there before I put the moccs on. This suede is definitely a cute color, but I'm not a fan of this particular piece that was used to make these moccs. 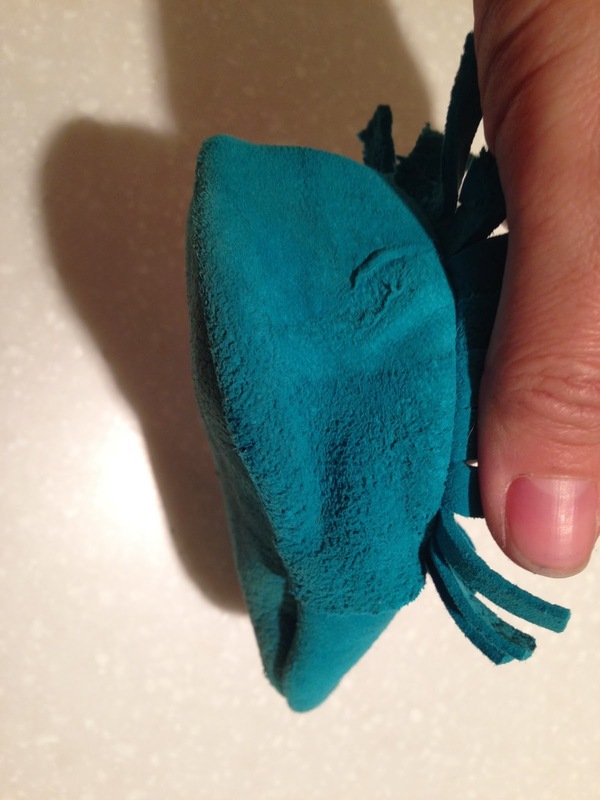 We did receive a pair of thicker, tan suede moccs as well and they match up better and have no pilly parts, or blemishes, so I'm thinking it was just this particular cut of teal that was used. 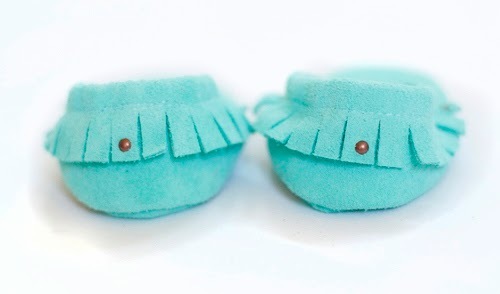 Leila has some of the cutest colors of moccs in her shop, aside from the electric teal, like "limeade" and "shock tart." And, for $25 you can't beat the price on such unique colors! Leila was great to work with, got me a pair of moccs super fast and I loved the color on our little Lemon. These are comfy moccs in a super soft suede but next time I think I'd opt for a thicker suede or leather pair. Leila is also coming out with leather ballet flats, footies (?) and moccasin boots later this month. "Hi, my name is Linsey Harper. I live in Northern Utah and have lived here my whole life. I am married to the sweetest guy on the planet and together we have our little fireball Taytum. 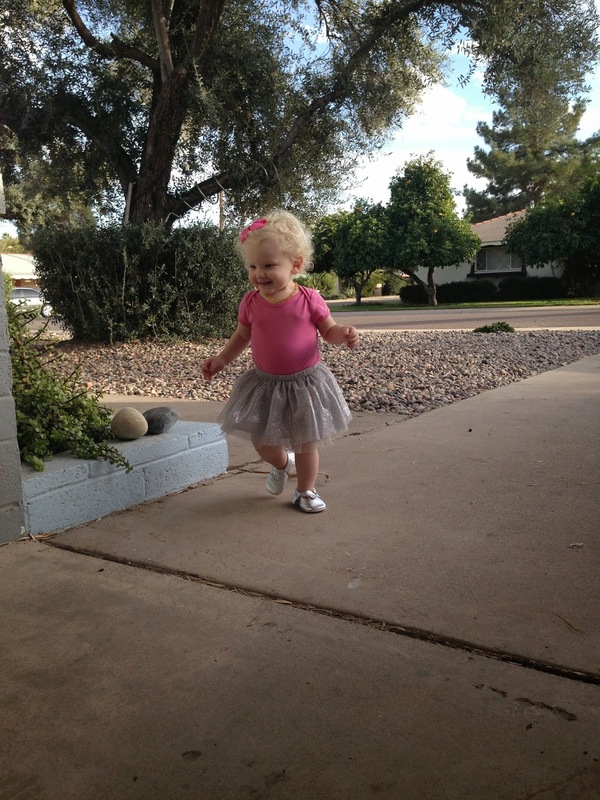 She is what makes life worth living. I have only been making moccs for a short time. 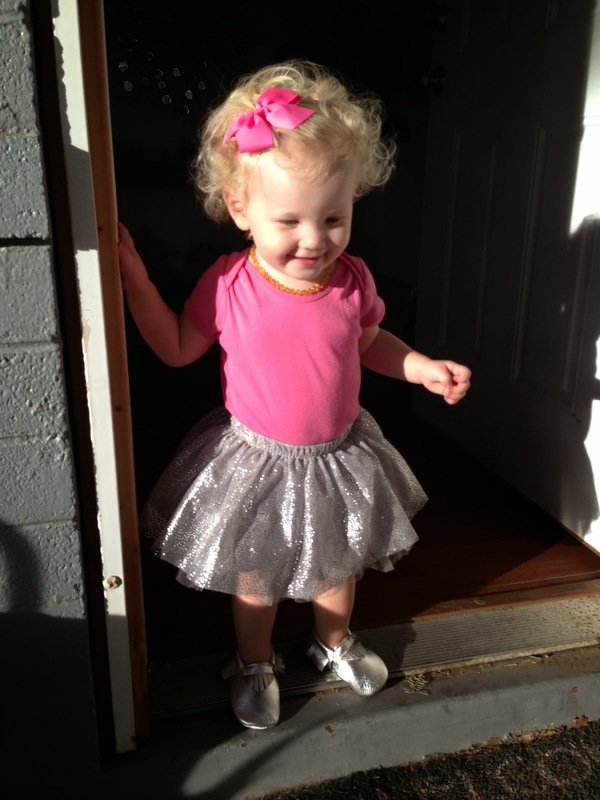 Like a lot of mocc making mommas, I loved these shoes and wanted some for my daughter. I couldn't bring myself to spend oodles of money on something that can only be worn for a short time. I love sewing and put the 2 together. 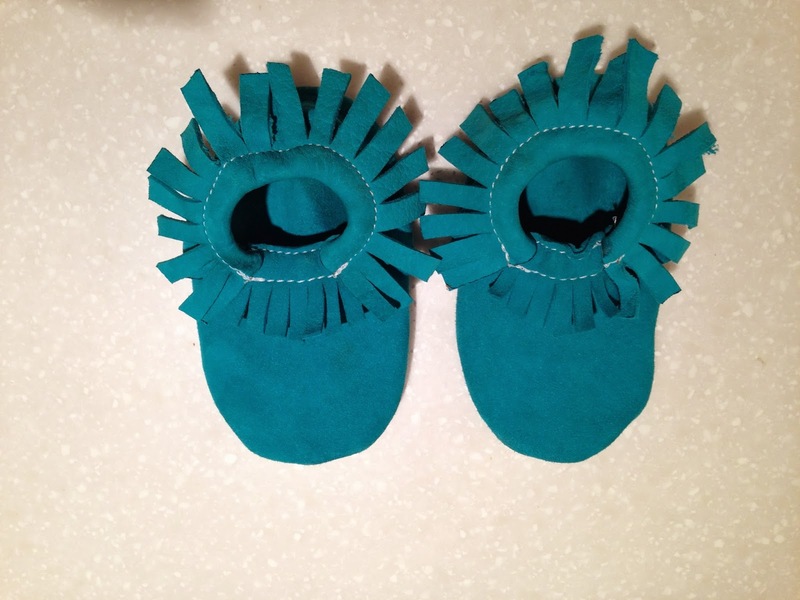 My first pair was made in September 2013 and I made a few for my daughter. Then, friends starting asking me to make them some. After lots of interest, and my love for sewing, I thought I would give Etsy a try. My small business has shocked me and I can't thank my customers enough. The feedback I receive makes me feel like I have done my job. 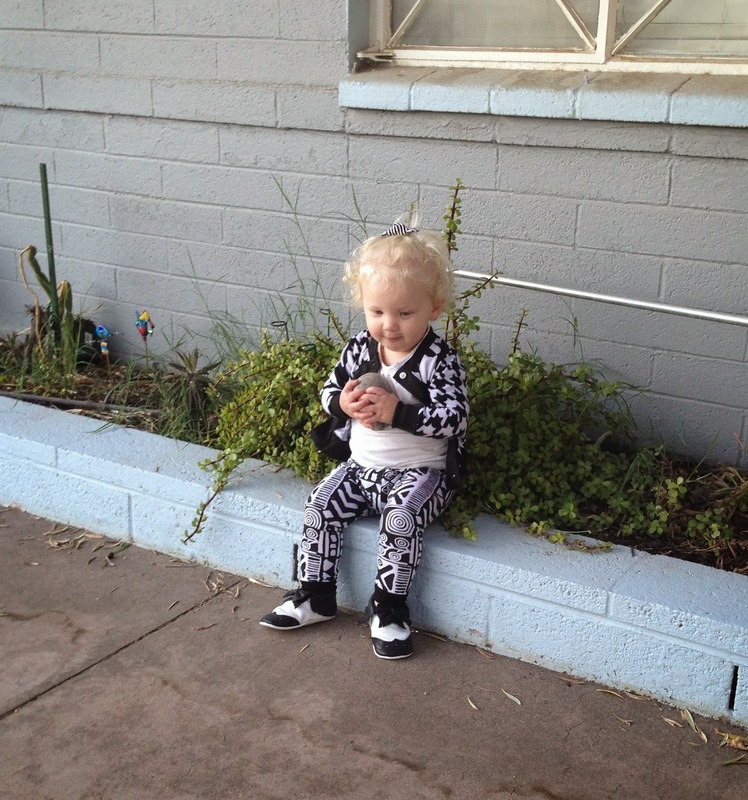 Babies and toddlers in Babytmoccs, makes my heart sing. I strive to provide a well made moccasin at an affordable price." Linsey sent me a pair of silver moccs in a 5/6 (5.5 inch, $28). She offers size 4 inch (1) to 7 inches (10/11) in her shop. These moccs fit perfect and are for a normal size foot, not too wide or narrow. They are really easy to get on and stay put when they are on. I really like the width of them, not narrow but the toe doesn't curve out really wide either. They look very sleek on and fit perfectly. 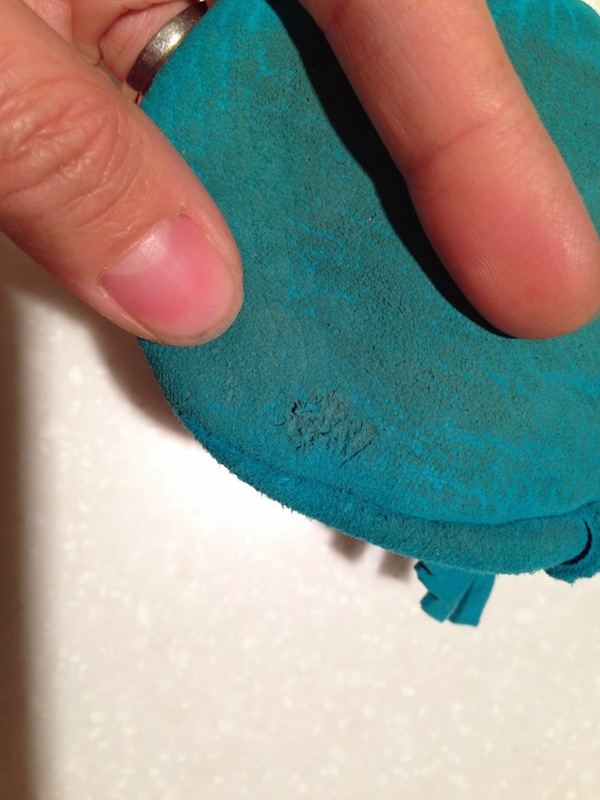 One of the moccs did look a bit wider than the other (see pic above) but you couldn't tell once on. This leather is super soft but not thin, these moccs appear to be really durable. The stitching is great and the bottoms are matching leather, they seem like they will last a long time. Linsey was awesome to deal with and sent me out the moccs fast. She is very busy and she should be, her moccs are really well made and are offered at a great price. I need those electric blue and mustard ones in her shop like yesterday - so cute! She also makes wall art and custom birth announcements in her Etsy shop. "I absolutely adore moccasins. I love everything about them and wanted my son to have every pair! But times were hard and I just couldn't justify spending money on costly baby shoes. My husband got a new job, we had our first child and we moved cross country all within 6 months! So, I whipped out my tiny Brother sewing machine and started making Link little moccasin slippers for the house, with fabric from the craft store. Eventually, I got brave enough to work with leather. I had no idea what I was about to get into! I decided to start Hoodwink Link to give other moms, who were in my situation, a chance to buy something trendy and stylish (not to mention practical) for their children without breaking their budget. We launched in September 2013 and it's been a wild ride since then! 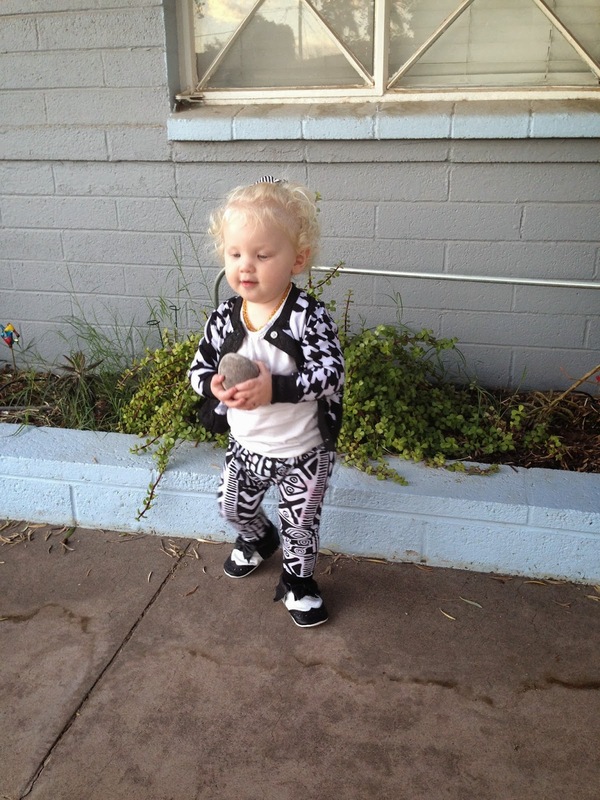 I have a lot of people ask me how I came up with "Hoodwink Link:" My son is a little rascal and 100% boy! He is my "hoodwink Link" and the raccoon logo is actually an animal version of him :) He is my inspiration for all that I do and I'm pretty in love with him! When I'm not sewing, we spend a lot of time playing in the front yard with our Great Danes, swimming, going to the park, reading books, meeting with our mommy and me group, watching Thomas and Friends (does anyone else HATE Percy?) and doing everything other normal moms and toddlers do." I received a pair of her new black and white oxford moccs in a size 5 (5.5 inches, $45). She offers sizes 1 -7 (3.5 to 6.5 inches) in her shop. It was tough to tell which moccasin went on which foot (again, I'm kind of an expert now). I ordered Lemon a size 5.5 inch and I'd say they run a bit big. The sole of the mocc seems to be just right for her foot size, not too narrow or too wide, but the rest of the mocc, sewn around the sole, seems to run a bit bigger. They were easy to get on and I loved the black elastic, I think it is an added bonus especially on a darker leather. I also found that this pair of moccs didn't match up well either, one was definitely wider than the other (see pics above). We spent the day running around the lake by our house in these moccs and they held up really well. I like how the bow is sewn on and how it sits when worn, it doesn't angle in like some other bows I've seen. The leather is soft but sturdy and they seem really comfortable. Even though they were a bit big (and subsequently wrinkly) on Lemon's foot, they didn't fall off. They definitely looked big on Lemon, but didn't seem to bother her. I think a smaller size would have done the trick! Alee is super sweet and great to deal with. She was really accommodating and sent me this new style, which I love, and is also something I haven't seen before. 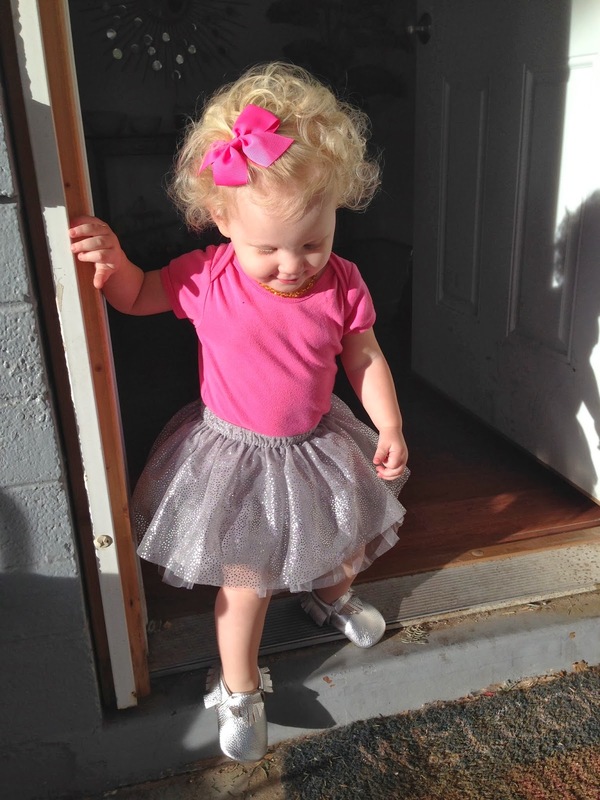 Kind of like a saddle shoe, in mocc form, and with a bow - oh so cute. I love these moccs because they are fancy but also moccs - a comfy but sophisticated looking shoe for your babe. Alee also sent Lemon a Hugo Hood, her signature hood with the little raccoon logo on the inside, and I love it (and am waiting for cooler weather to post a pic of Lemon in it!). She also has a super cute kids backpack on her site and some colored moccs as well as some plaid ones - another style I haven't seen before. 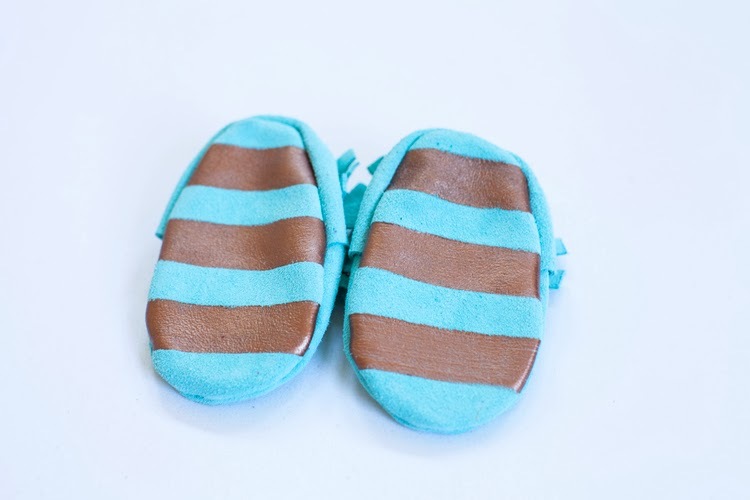 The price on these moccs is a bit steep but a lot of work goes into them, and they are something different (and stylish) so I definitely think they will sell (she does have plain styles for $35 in her shop). I know that Alee will be super successful because she is always changing it up and offering something fun and different, and is on top of her game in corresponding with her customers. Hoodwink Link Oxford Moccs Giveway! Follow hoodwinklink and I (allisonpants) on Instagram and repost our giveaway picture. Hash tag it #hoodwinkblueberry and that's it! (If you don't have an Instagram account, just follow my blog, on Google or on Blog Lovin', and comment below to be entered!). Winners will be chosen at random on Saturday, February 8th at 10am MST. If you win, you can choose a pair of Oxford moccs in any size from 3.5 to 6.5 inches. Good luck!! 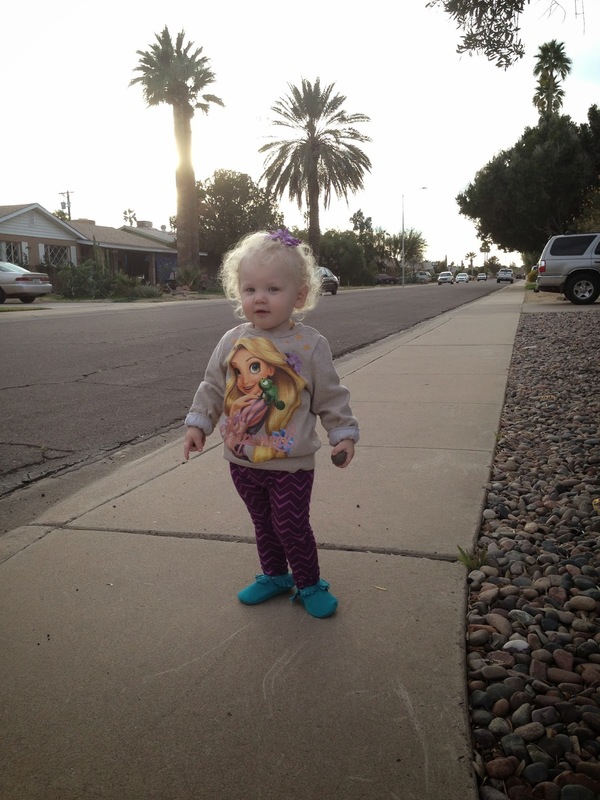 I'd love a super cute pair for my girls first pair of moccs. My smallest pair is 5 inches and she's only 3 months! I've been a loving follower and these posts are my FAV! Oxford moccs would be a dream! Thank you!